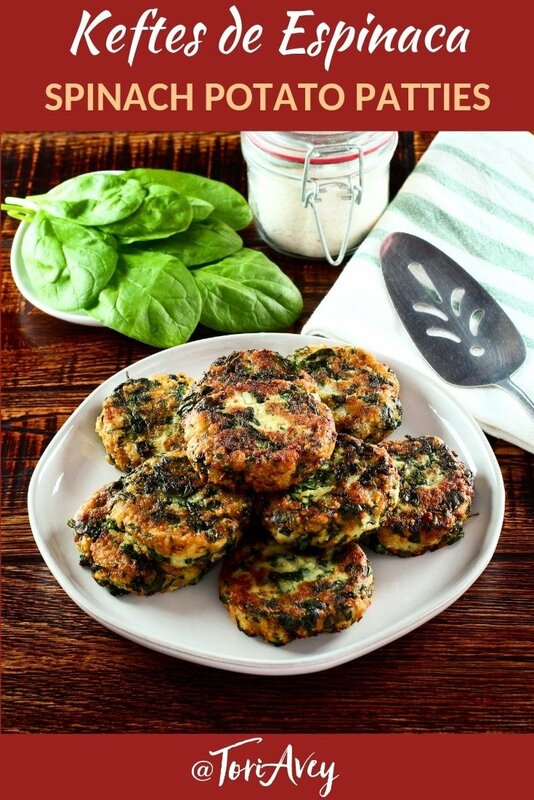 Small fried patties or croquettes, known as keftes, are popular in the Sephardic Jewish community. These Keftes de Espinaca are a unique and delicious vegetarian take on the kefte concept. Because keftes are pan fried, they are often served for Hanukkah to commemorate the miracle of the oil. Keftes are related to Middle Eastern Arab meatballs, known as kuftas. Kuftas are usually made with meat. Keftes come in many different varieties including lentil, spinach and leek. Spinach originated in Asia and made its way to the Mediterranean during the 8th century A.D. Persia was the first Middle Eastern country to cultivate this nutritious green; historically, spinach became known as the Persian Green. Spinach is now popular throughout the Middle East, prized for its distinct flavor and a myriad of health benefits. These Sephardic Keftes de Espinaca are irresistible. If you have a family member who is reluctant to eat green leafy vegetables, these keftes may just get them to reconsider! 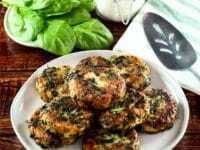 They make a scrumptious appetizer, and can also be served as a vegetarian entrée. They’re a great way to use up leftover mashed potatoes. My favorite way to enjoy them is topped with a little Greek yogurt, sour cream or labaneh. 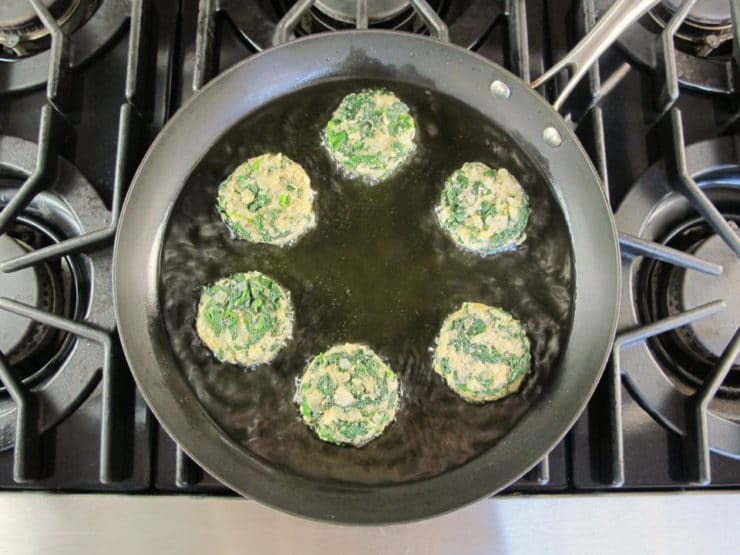 Make sure you serve these little fritters fresh out of the pan. If they sit out too long they’ll lose their crisp exterior. 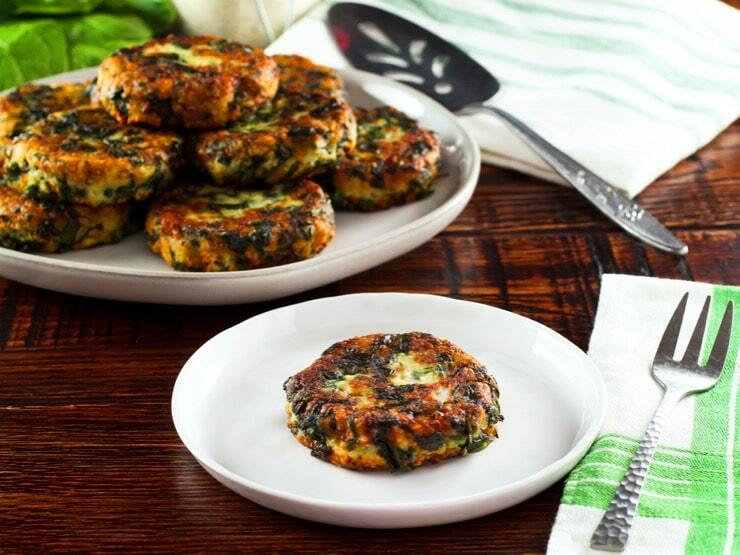 How to make Middle Eastern keftes de espinaca - spinach keftes. 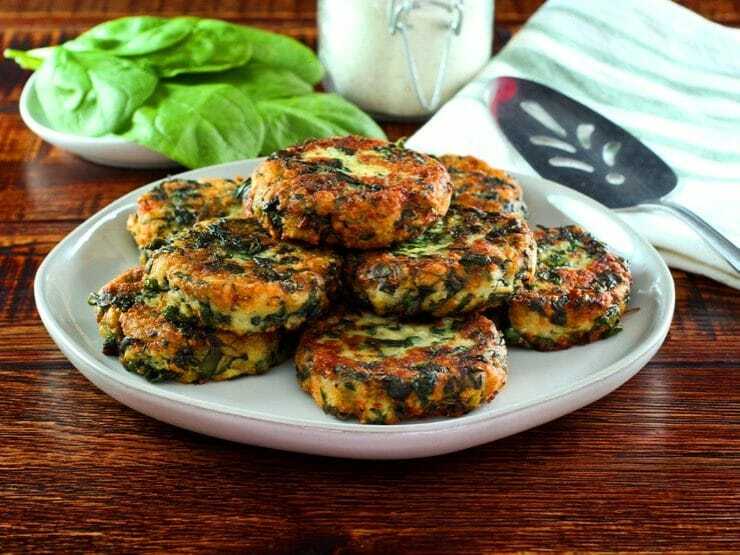 Delicious vegetarian fried patties with spinach, mashed potatoes, egg, and breadcrumbs. 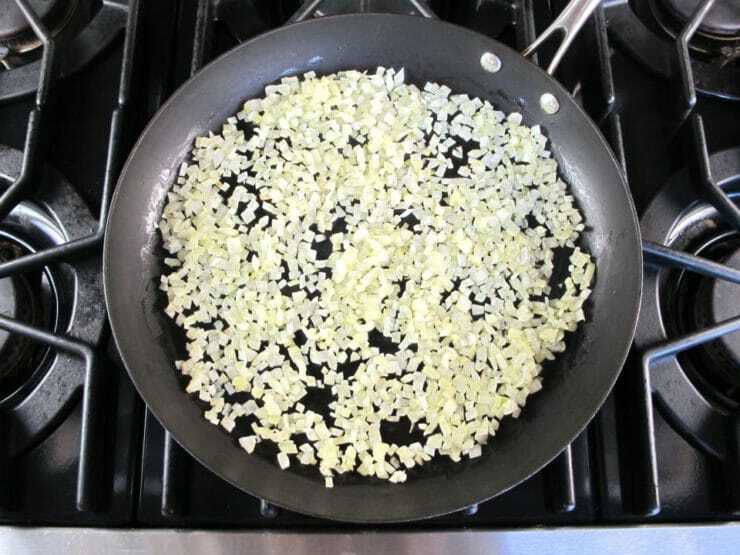 In a large skillet, warm 1 tbsp of olive or grapeseed oil over medium heat. Sauté minced onion for 5 minutes until translucent. 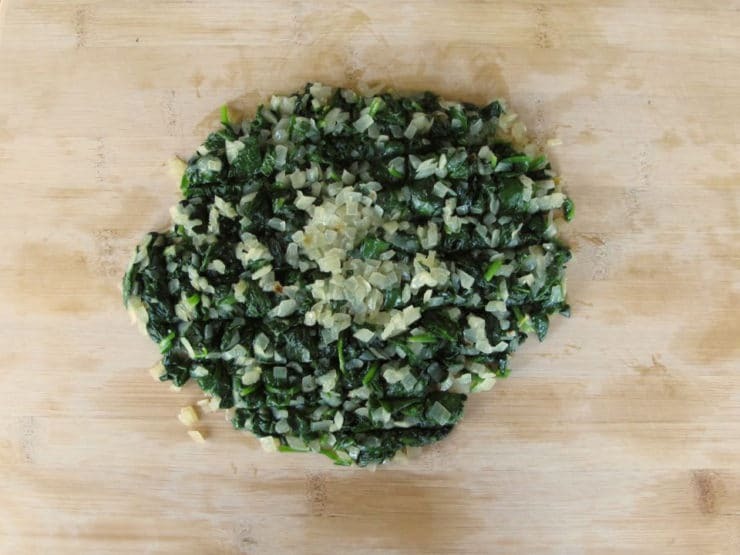 Add crushed garlic, sauté for two minutes longer. 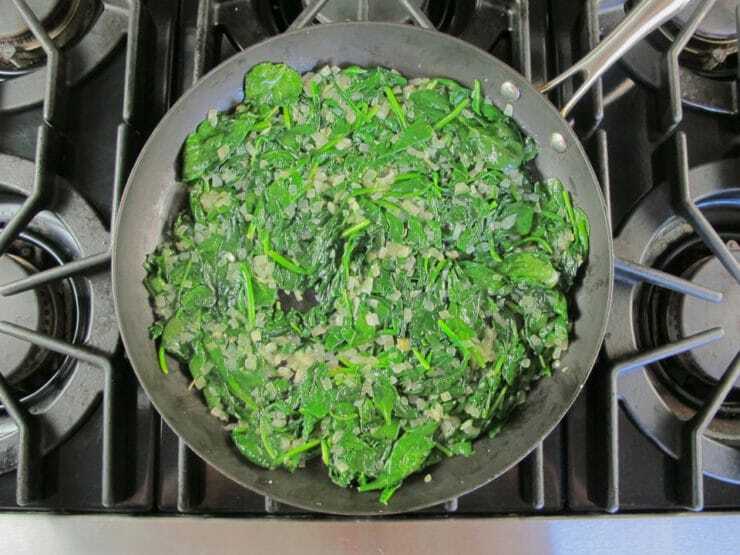 Add half of the fresh spinach and over the skillet, allow the spinach to wilt and shrink slightly, then add remaining half and cover again till all the spinach has wilted. Remove from heat and transfer cooked mixture to a mesh strainer. 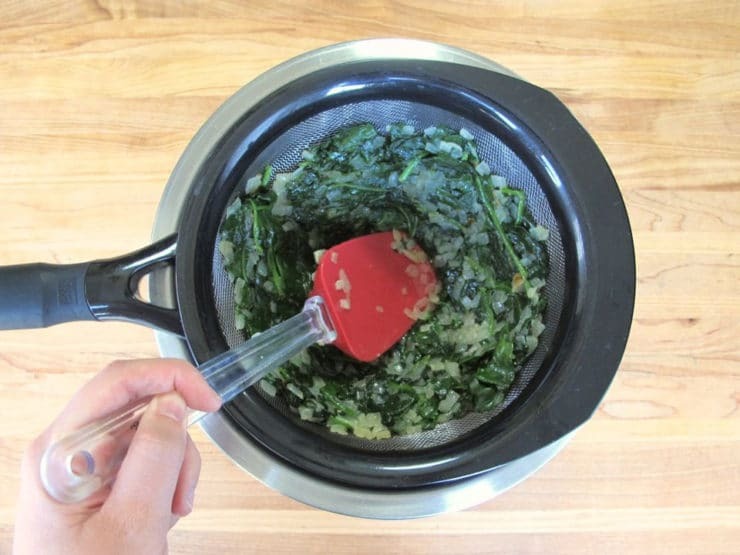 With a spatula, gently press mixture in the strainer to remove excess moisture. Transfer mixture to a cutting board and roughly chop. Place chopped mixture into a mixing bowl. Add remaining ingredients and mix thouroughly. 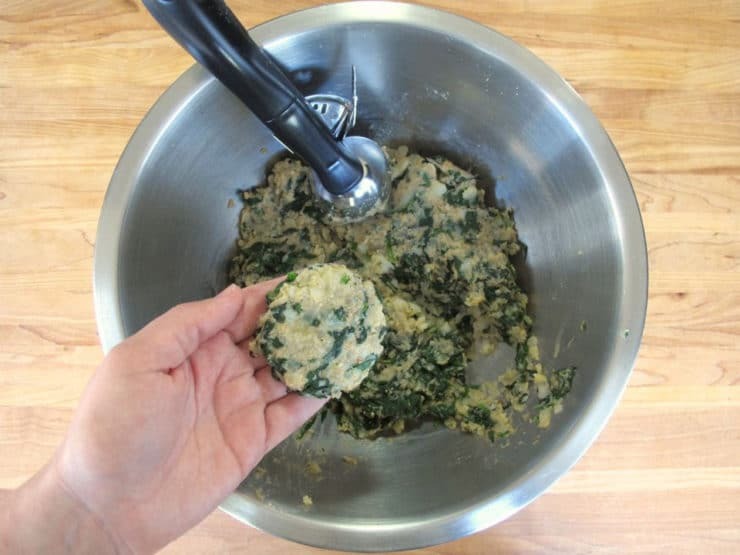 With an ice cream scoop or ¼ cup measuring cup, scoop the mixture into your hand and form smooth flat patties. 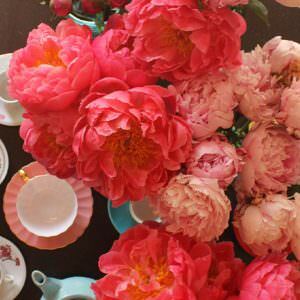 Place them onto a sheet tray as you go. Heat remaining ½ cup of oil over medium heat. It should be at about 365 degrees F. Place patties into the hot oil in small batches. Fry until brown, about 4 min on each side. Place on a paper towel or rack to drain. Have you ever baked these instead of pan frying? Yes. If making ahead I would freeze them, then reheat in a 350 degree on a lightly greased baking sheet. If you have a convection oven setting, even better. These are amazing! I had been hoping you would make a recipe for these, since I never found a recipe before as good as the ones I used to buy. These are better! I also subbed a flax seed egg for the chicken egg no problem. Tastes great. I had a bag of spinach salad mix with grated carrots (starting to turn) and leftover mashed potatoes and whipped them up for Hanukkah. So much easier than grating potatoes. The touch of cayenne really added some zip. Here’s a silly question for you. Are the mashed russet potatoes used in this recipe already cooked or uncooked? Thanks for your delicious recipes and Happy Chanukah! They are cooked. 🙂 Happy Hanukkah! 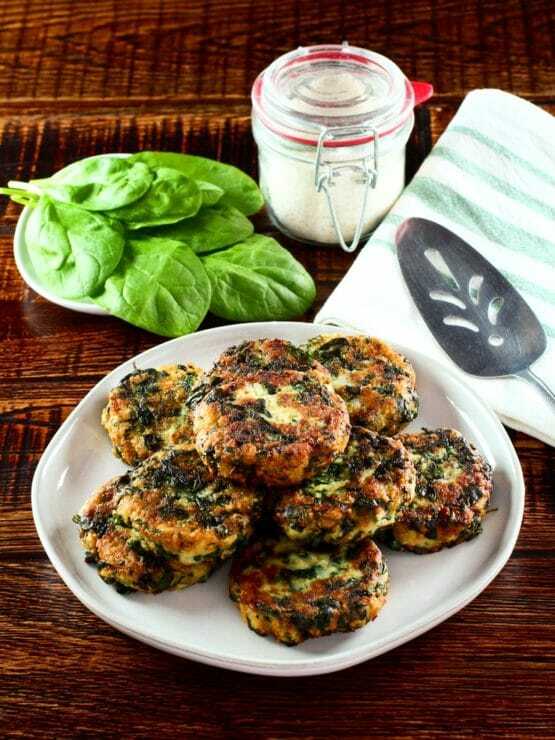 Hi Tori, can we use frozen spinach for this recipe? Absolutely, just thaw and squeeze out excess liquid before adding to the potato mixture. Thank you Tori for your wonderful recipes, I have made Imas burgers a few times so thought I would try this recipe today and added some smoked salmon, tuna, asparagus and leek with some rosemary to season. They have come out super tasty. Going to try your veg chopped liver later in the week. I can still smell them cooking in my nona’s kitchen. Thank You for reminding me of a wonderful smell memory, Tori. They were one of my dad’s favorite foods in his entire life. I will make them when my brother comes to visit me from Australia…probably make them with him. 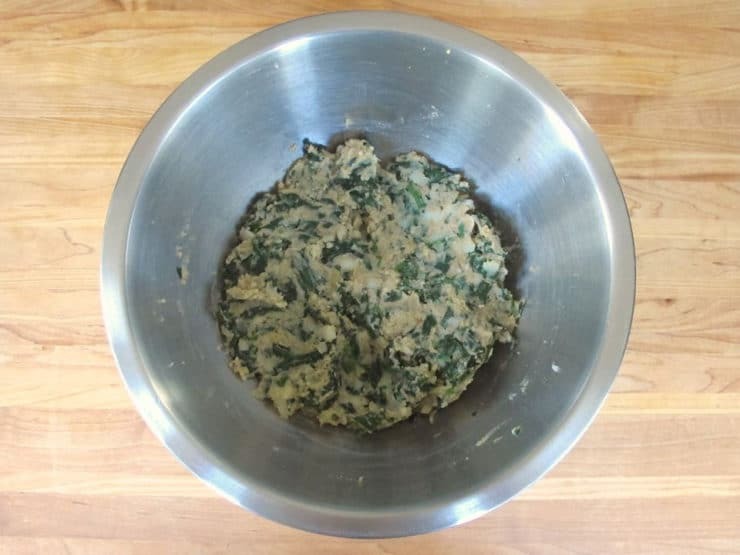 As the bedikah/verification of fresh spinach is quite time consuming, can we use frozen spinach and if so what would be the right quantity to equal you 10oz of fresh spinach? They were a huge hit!! 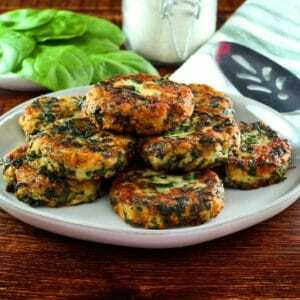 I like the spinach ones even though I’m not usually a big spinach fan. Next will try the cheese latkes! Everything sounds so delicious, but what can I use instead of an egg in your recipies? My daughter is allergic to eggs and milk. I have an egg replacer powder that has to be mixed with water but I am not sure it will work for frying. Any ideas, please? Super Yummy! I even got my kids to eat them, SHOCKING! Delish! And not just for Passover anymore! From another Goyishe, Faygela, Yenta! this recipe looks so good. i[m going to make it tomoorow night for my dinner. thank you!!!!! it’s good to get new recipes that have the added protein in them. this looks soooooo good. I need an alternative to regular potato pancakse, we are all trying to lose weight around here! Glad you like the recipe Margie! 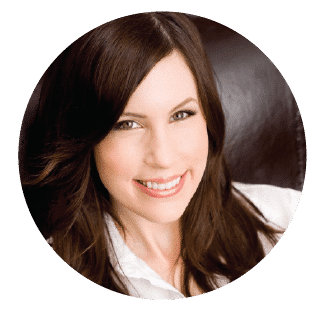 Jewish cooking is new to many of my readers. Welcome aboard!